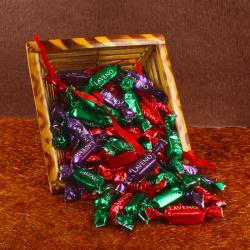 Product Consists : Rascco Cool Mint Chocolates (Weight : 130 gms). 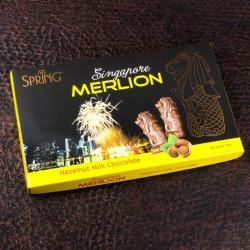 This Chocolates is specially made for a all Chocolates lover. We bring for you a very delicious Rossco Dark Chocolate with Cool Mint from Malaysia. These Mint Chocolates comes in Dark with Cool Mint flavor, Chocolate and whole Cool Mint Chocolate cube are fully coated with mint dark Chocolates. 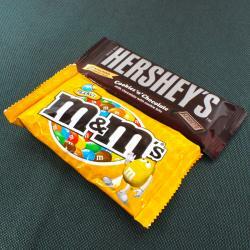 Chocolates are loved by all - right from kids to grown ups. 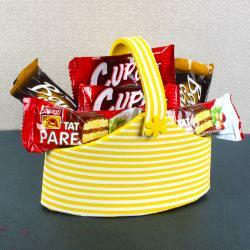 So they become a perfect gifting solution for every occasion. Right from celebrating a special occasion, to consolidating your friendship; from expressing your love for someone, to simply celebrating life, we offer you homemade chocolates for all occasions.It also surprise add element to mouthwatering cube shape mint of chooclate. 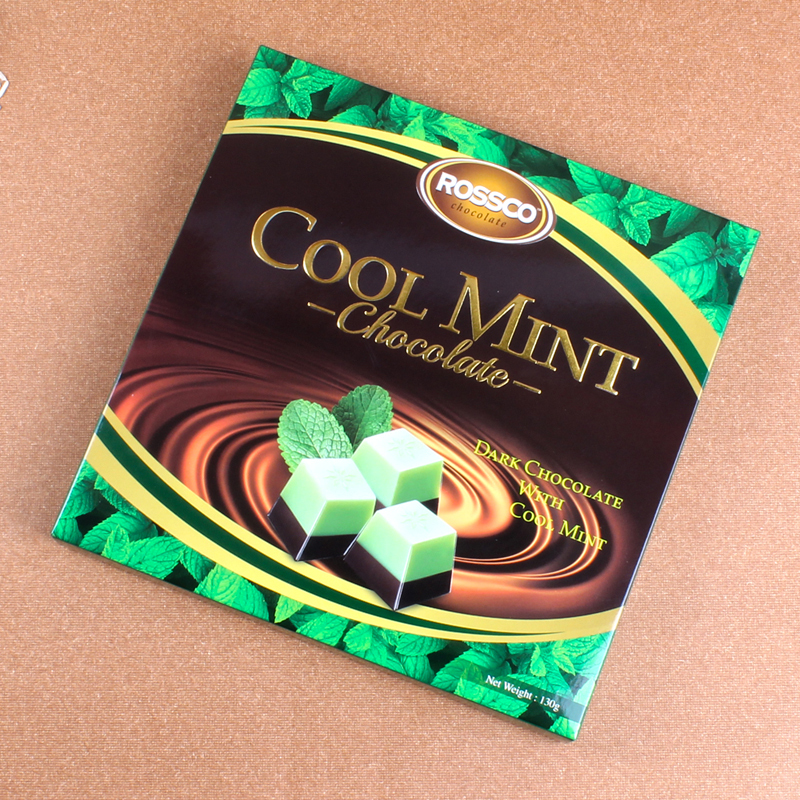 Product Includes : Rossco Dark Chocolate with Cool Mint (Weight : 130 gms).